The Faughs Bar has a nice bright and warm environment with a solid fuel fire that is lit during the colder months that adds to the lovely atmosphere in the clubhouse. 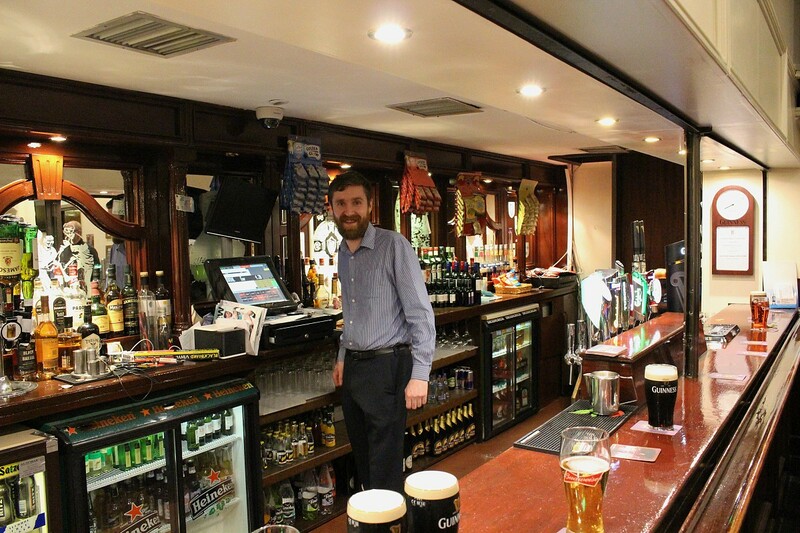 There are various activities run in the bar each week including an entertaining quiz on Wednesdays and Irish Music and Song nights on the 1st and 3rd Thursdays from October to April. Sporadic Irish music sessions take place in Faughs on a regular basis as the Club is used by a range of different groups and bands for practice from time to time. Faughs GAA club has a long association with Irish Music having hosted the live RTE Irish Music programme called “Ceili House” on two occasions. Hot food can also be served in the bar by prior arrangement with the Manager. Faughs has Sky and BT Sports and shows all the major sporting events. The Bar hours are extended from time to time on the weekends for major sporting events and these times are displayed on the Faughs website. There are two large and one regular size TV in Faughs so you will be able to see your favourite programmes at all times. The Bar also houses the Faughs museum that was opened in 2016 to commemorate the 1916 rising. Faughs G.A.A. Club was founded at Easter 1885, ‘Under the Big Tree’ in the Phoenix Park in Dublin. Its inaugural meeting was held in no. 4 Gardiner’s Row, the then home of Michael Cusack (now the Dergvale Hotel). Playing at fullback on the team that won the 1914 & 1915 championships was Harry Boland, famous for his part in the 1916 Rising and War of Independence. He was later killed in the Civil War. Best year of all was 1920 when Faughs won the Senior Championship & League, Intermediate Championship & League. The team led by Bob Mockler, the greatest midfielder of his time captured the All-Ireland title beating Cork in the final by six points. The final score was 4-9 to 4-3. Included in this team were Jim ‘Builder’ Walsh, the only man selected on all three Tailteann Games Ireland teams, Tommy Moore, and John Joe Callanan who would later captain Tipperary to beat Dublin in the 1930 All-Ireland final. The cup presented to the All-Ireland Club champions each year was presented to the GAA by Faughs very own Tommy Moore.